As of writing this article Zed's Alchemy was downloaded more than 10 million times in Google Play Store. Although the game is not updated regurarly with new combinations it does not seem to affect its popularity. However if you enjoy playing Zed's Alchemy you should take a look at the below list of great alchemy games too! 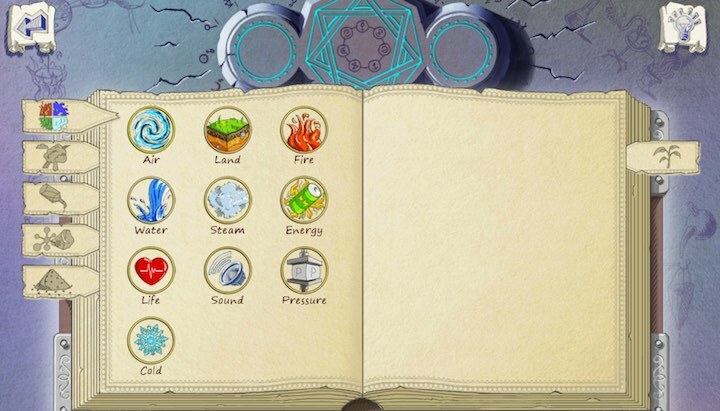 Little Alchemy holds the title of the most popular alchemy game for a few years since 2010. The game was originally developed to be played in a web browser, later on it became available on other platforms like iOS and Android. Thanks to the continuous update the game just never gets boring. As of writing this post the games has 550 combinations to be explored including special elements called "hidden gems" which can be discovered only if all the other ones were found. Should you need help you can find many resources online, here is one useful website. Doodle Alchemy is beautiful game from Byril, which really took the original alchemy concept and really took it to next level. They reimagined the concept of the alchemy game and made the gameplay based around turning pages in a book. 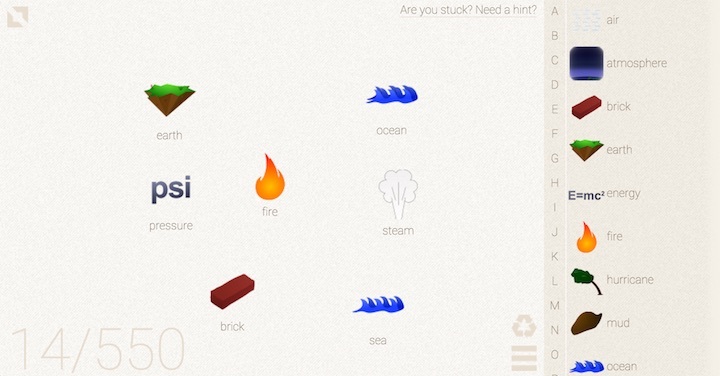 The game introduced 14 categories: Animal, Country, Base Element, Food, Invention, Liquid, Machine, Man, Man-made element, Nature, Organism, Plant and Science. Each category can have maximum 24 of the total 336 combinations. Doodle alchemy is only available on smartphones (sorry, no desktop version). Here are links to iOS and Android version. The next in the Doodle Alchemy series is the Doodle Alchemy Animals. The main theme as the name suggests is around different type of animals. The developers at Byril did a great job again. The game was slightly redesigned to match the topic of the game. What did not change though is the challenge aspect of the game. Just like Doodle Alchemy there is a total of 336 combinations to explore, 24 in each category. 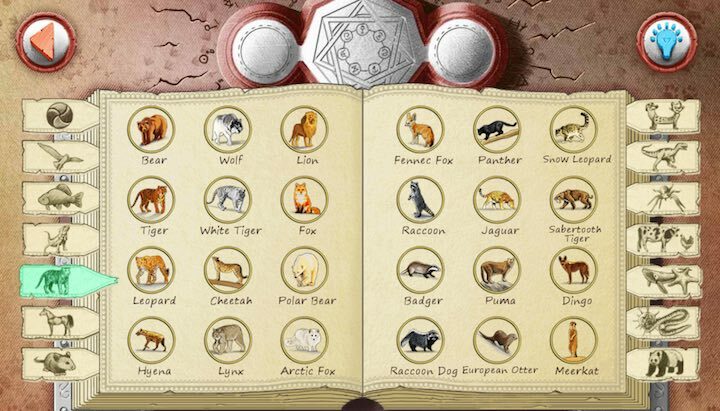 Luckily in addition to the four basic starting element: earth, air, fire and water there are a few more to help the discovery of various animals in the game. If you enjoyed Doodle Alchemy you cannot miss this. Grab your copy here for Android. Alchemy Classic HD was highly influenced by the classic Christian Steinruecken’s The Alchemy Game. It is an exciting puzzle game with beautiful graphics. It starts with the four basic elements just like the other, and thankfully to the regular updates it is hard to run out of the combinations to explore. 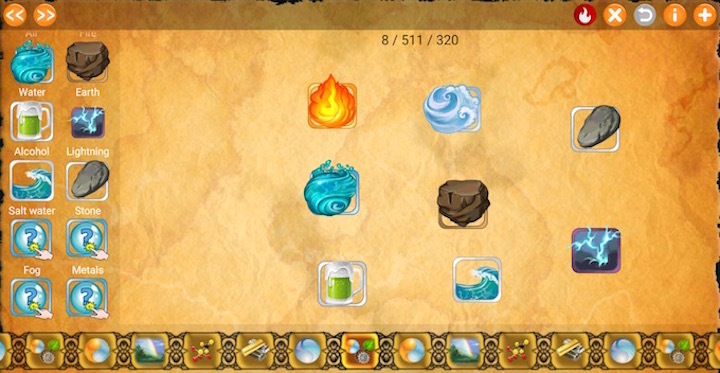 However note that all of the above mentioned alchemy games allow you to combine a pair of elements to create new ones. In Alchemy Classic HD new elements can be created using more than two existing combinations. This might make the gameplay more challenging, but here is one hint, by tapping on the "i" button the game tells you the combinations that can be discovered and the number of existing elements they require. As the game progresses the more combinations you discover the more recipes you can buy to explore more.